Research shows straight clean rows of pearly whites make you appear more intelligent, interesting, successful and wealthy. Cosmetic dentistry is a fast and non-invasive way to improve your appearance and overall wellbeing. From instant tooth whitening to full smile makeovers, North York Dental Clinic offers treatments that help you achieve a more youthful, clean and healthy-looking smile. We’ll consult with you to determine the right course of treatment, suited to your budget and needs. Contact us to take the first step toward a new radiant smile. Dental Crowns – Also known as ‘caps,’ crowns are a simple solution for cracked or damaged teeth. We use these porcelain overlays to quickly and easily cover a damaged tooth. They have the colour and texture of real teeth and can last a lifetime! Dental Bridges – Also called ‘fixed partial dentures,’ bridges are false teeth, fused between two porcelain crowns designed to fill an area left by a missing tooth or teeth. Dentures – We offer a range of dentures to replace missing teeth, including conventional removable dentures, and more permanent dentures relying on bonding or clasping onto teeth or dental implants. 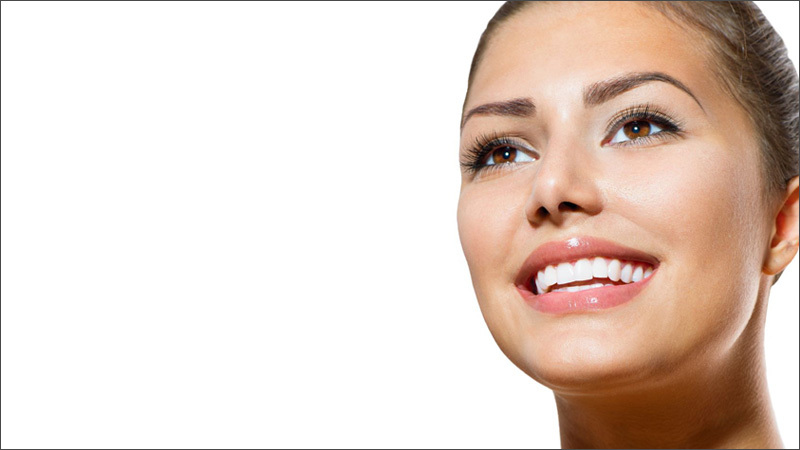 Dental Veneers – Veneers are ideal for immediate painless aesthetic results. They are custom fabricated slices of porcelain, placed over your natural teeth to mask imperfections. Unlike crowns, they can often be used to repair only the damaged portion, leaving most of the natural tooth structure intact. Bonding – If you have a gap between teeth or a broken or chipped tooth, we use a paste-like dental composite to fill in the space or reshape your teeth. Bonding can give you a complete smile makeover, often in one visit. Tooth Whitening – We offer ZOOM! In-office whitening for instant bright results, or we can provide a more gradual take-home whitening kit.